Goodreads says, "How do you defy destiny? Helen Hamilton has spent her entire sixteen years trying to hide how different she is—no easy task on an island as small and sheltered as Nantucket. And it's getting harder. Nightmares of a desperate desert journey have Helen waking parched, only to find her sheets damaged by dirt and dust. At school she's haunted by hallucinations of three women weeping tears of blood . . . and when Helen first crosses paths with Lucas Delos, she has no way of knowing they're destined to play the leading roles in a tragedy the Fates insist on repeating throughout history. As Helen unlocks the secrets of her ancestry, she realizes that some myths are more than just legend. But even demigod powers might not be enough to defy the forces that are both drawing her and Lucas together—and trying to tear them apart." Helen Hamilton has grownup on the isolated island of Nantucket. Overall, her life has been pretty ordinary, but lately, things have started to change for her. Not only can she run faster than others, she has vivid dreams that appear to be real and is experiencing frightening hallucinations at school. Also, Helen meets the new kid, Lucas, and from then on, her world is never the same as she finds out the truth about how different she truly is. Starcrossed, Josephine Angelini's debut, is an engaging story that fans of mythology will devour. I found Helen's story to be fascinating even though I am quite familiar with the legend. Also, I found it addicting and I realized it's because I LOVE Greek mythology. After all, Greek mythology is one of my favorite units to teach; plus, The Iliad the The Odyssey are some of my favorite classics. So, it should come with no surprise that I absolutely relished this aspect of the novel. 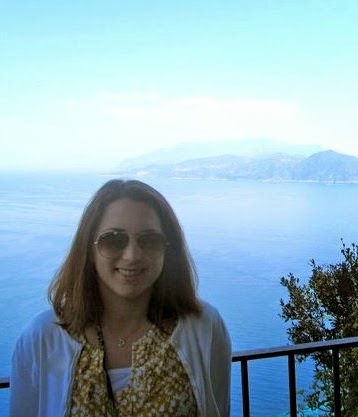 Another thing that I loved was the setting. Nantucket really came to life in Starcrossed. It's the perfect location for a book like this, because there's fog, intense storms, angry seas, the isolation of the beach, and Helen's widow's walk. 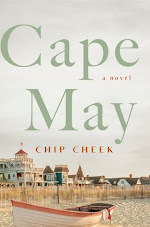 Every aspect of Nantucket really set the mood of the story and beacause of this, Starcrossed would make a good beach or vacation read. 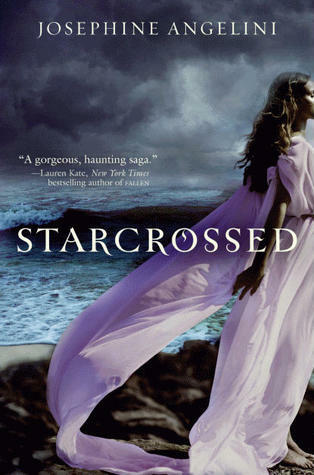 Starcrossed is not only filled with an epic romance, but there's also a lot of action, which I enjoyed. The demi-gods are always fighting and even flying, so I was at the edge of my seat. Additionally, I thought Angelini did a good job basing the story off of Greek mythology without making it too predicable for readers familiar with them. I am excited to report that there will be two more books in the Starcrossed series with the second one, Dreamless, coming out next year. I will definitely be picking up the sequel as I am dying to find out how Angelini will interpret the fate of these two star-crossed lovers. So glad you enjoyed this one too Christina! I just adored it:) I'm ridiculously in love with Greek mythology, and I thought this did such a great job exploring the myths in a different way and bringing the characters to life. Can't wait for book 2! I've been reading a lot of books lately that are very Twilight-ish. Usually it doesn't bother me because I love Twilight, but some are just a little too samey. I haven't read this one yet - I meant to start it earlier this week but got sidetracked! I just started reading this book (I'm at the part where Helen is about to see Lucas for the first time). So far I like it but I have been trying to figure out how the modern characters fit with the mythology. Obviously I recognize the names of Helen, Cassandra, and Hector but I don't know if they are meant to be like their mythological counterparts yet, which is really bugging me and making me want to flip forward in the book.